Congratulations to the SECOORA Data Challenge winners! There were many innovative submissions, making it a tough competition. The projects chosen integrate social science data with physical data, increase use of pH data on the SECORA portal and develops an exciting new way to utilize satellite oceanographic data. We would like to thank the data challenge judges for helping choose the winners. SECOORA is will be announcing the next Data Challenge in 2018. Keep an eye out for the announcement! SPLASSH into OA (Ocean Acidification) with SECOORA’s pH Data aligns with the Southeast’s Regional Association’s (RA) theme of Climate Variability and Ecosystems. The project addresses two issues facing SECOORA, the inability to visualize archived pH data and monitoring gaps along the southeastern coastline. The proposed tool will be developed on the SPLASSH (https://www.splassh.org) platform and enable users to access archived data files directly on the data portal through their selection of specific criteria to view. The application’s visualization capabilities will engage users to interact with SECOORA’s newly displayed data by allowing them to compare variables over time and location through graphs, plots, and charts with the added ability to save their queries for future searches. An additional feature of the tool will invite the public to contribute their pH data on the SPLASSH platform, thereby increasing the number of SECOORA users and increasing the coverage of coastal pH monitoring. The application will allow the public to store and retrieve their own pH data, which offers personalized user engagement. The publicly crowdsourced data will be clearly separated from SECOORA’s observatory data and efforts concerning data quality will be addressed. 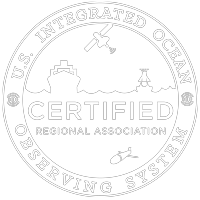 The tool’s ultimate goal is to increase ocean literacy through the visual translation of SECOORA’s archived pH data and citizen science engagement through crowdsourcing, ultimately resulting in a better understanding of the impacts of ocean acidification of our coastal waters. Water quality degradation is of immediate concern to South Florida fisheries, recreation, and tourism. This study aims to increase understanding of the economic risks associated with further water quality degradation in Biscayne Bay, Florida via online surveys and in-person interviews with industry participants. The goals of this project are: (1) To determine the economic value and spatial flexibility of Biscayne Bay fisheries and recreational water operations and (2) To use this information to increase awareness of the Bay’s value and to encourage environmental stewardship and conservation initiatives. Results of this study will determine which portions of the Bay are being used most intensively, which areas are economically invested in most heavily, and which regions suffer from the most severe water quality degradation. Additionally, this study will indicate if fisheries and recreational operations in specific areas of the Bay are particularly vulnerable to localized water quality degradation, or if these industries have enough mobility to prove resilient under localized environmental pressures. This information is critical to policymakers and industry participants working to ensure the longevity of Biscayne Bay fisheries and recreation. Development of a 5-Year Daily, Cloud-Free Sea Surface Temperature (SST) and Chlorophyll-a Reconstruction Dataset Using the Data Interpolating Empirical Orthogonal Functions (DINEOF) Method – Joseph B. Zambon, Ph.D. Oceanographic data from satellites provides a huge, global dataset with fine temporal and spatial resolutions. However, some data is not available in areas of dense cloud coverage, which happens frequently in the coastal ocean. We will use the Data Interpolating Empirical Orthogonal Functions (DINEOF) method to develop a cloud-free, daily reconstructions of Sea Surface Temperature (SST) and Chlorophyll-a. The source dataset is a 4-km daily Moderate Resolution Imaging Spectrometer (MODIS) from the Aqua and Terra mission spacecraft, available back to 1999. This award will allow development of a 5-year reconstruction (1-January 2013 through 31-December 2017) for the entire U.S. east coast and Gulf of Mexico.